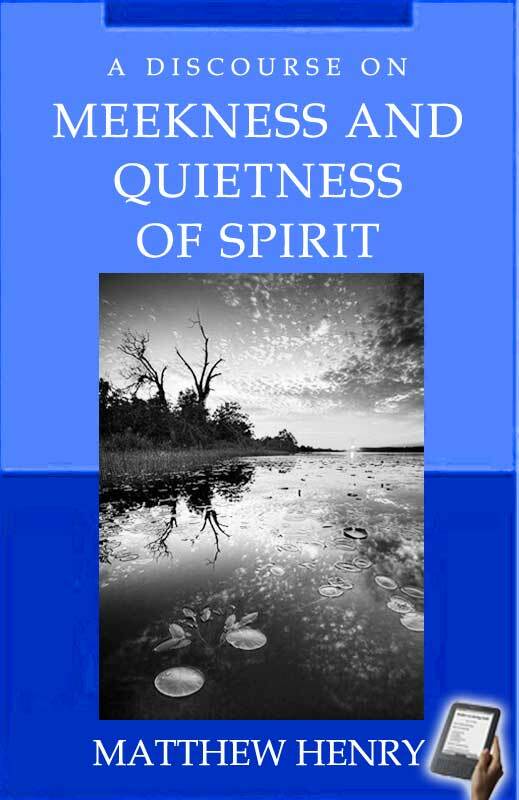 Meekness and quietness seem to import much the same thing, but the latter having something of metaphor in it, will illustrate the former, and therefore we shall speak of them distinctly. We must be of a MEEK spirit. Meekness is easiness.of spirit; not a sinful easiness to be debauched, as Ephraim s, who willingly walked after the commandment of the idolatrous princes; nora simple easiness to be imposed upon and deceived, as Rehoboam s, who, when he was forty years old, is said to be young and tender-hearted; but a gracious easiness to be vvrrought upon by that which is good, as theirs whose heart of stone is taken away, and to whom a heart of flesh is given. Meekness accommodates the soul to every occurrence, and so makes a man easy to himself, and to all about him. The Latins call a meek man mansuetus, which alludes to the taming and reclaiming of creatures wild by nature, and bringing them to be tractable and familiar. James, 3: 7, 8.